Welcome to the Wilderness of Joy! This year's theme was all about having good vibes with a commemorative sole that certainly looks fun. The design is "a re-imagined version of the camo pattern with banana leaves against a deep blue background". The bold pattern is a good match with the bright colors of the Happy Skin x Havaianas Express Gel Polish Collection. Even if you don't get the commemorative sole, there's still the option to mix and match colorful soles and straps. You can also choose your own soles and straps from the Top or Slim styles. They also have this handy wheel where you can pre-select the sole, strap, and pins combo that you’d like to get. It’s a really fun way to visualize your slippers’ final look! After picking out your design, head over to the main booth where they assemble everything right in front of you. This builds up the excitement as you slowly see your slippers come to life, and I especially enjoy this part because they bring out the pins! The #MYOH2018 exclusive pins continue to spread happiness that you can use to personalize your slippers. Part of the proceeds of this year's commemorative rainbow pin will go to the Save the Children non-profit organization. There's also a literal good vibes pin, a smiley, a pizza, and a palm tree to name a few. Regular pins cost P100 while the commemorative pin costs P150. The Make Your Own Havaianas 2018 ran from November 17-25 via their online store and at select venues. 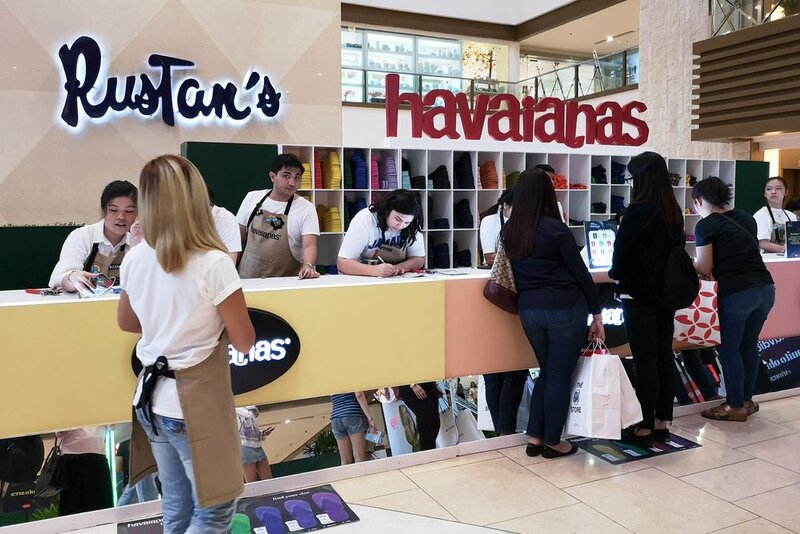 At the Shangri-la Plaza venue, they had the bonus of getting your Havaianas Origine pair customized by on-site artists or you can even choose to do it yourself! I really enjoyed the overall experience and I’m already looking forward to next year’s! Sneak more peeks into the event by using the hashtag #MYOH2018 and stay updated via the Havaianas Philippines Official Facebook page. Are you a flip-flops fan? Have you tried the Make Your Own Havaianas experience?